sailboat. : Vegan Taste Test. Having been a vegetarian for over twenty years and after a lot of consideration and research, moving towards a vegan diet feels like a natural progression for me. It has been a gradual change, starting with switching to coconut milk over a year ago and ending with one final egg mayonnaise sandwich, the thought of which now makes me feel a little queasy. I thought cheese and chocolate bourbon biscuits would be sticking points, but I'm genuinely surprised by how much I don't miss them. I also really needed to improve my diet in a way that didn't involve calorie counting, because that's a slippery slope I don't ever want to step foot on ever again. My kitchen now holds a variety of fruits and vegetables all the time, I'm more appreciative of the food I'm eating because I'm cooking more with fresh ingredients and not relying on tins of soup when I'm feeling lazy. I feel so much better within myself and have been really pleasantly surprised by how simple it has been to make the change. 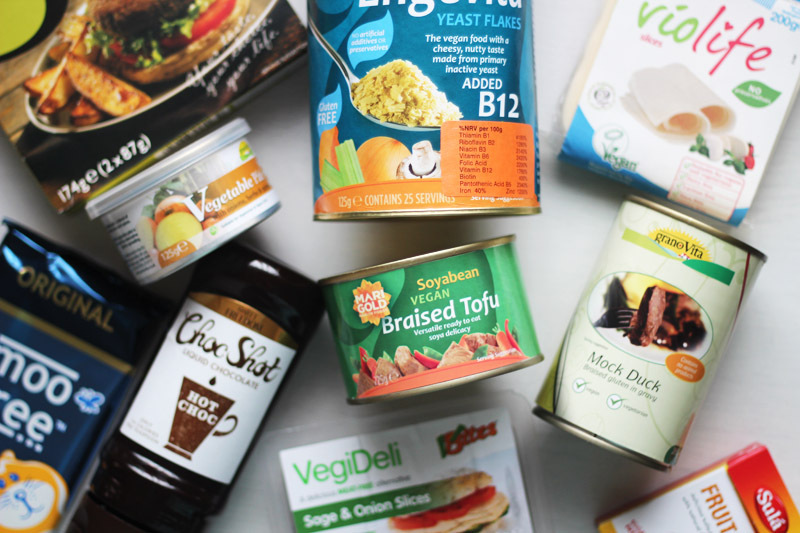 As I'm quite new to this my mum and I decided to pick up a few vegan things to try when we were in Holland and Barrett, mostly because we were very curious. I prefer to make as much as I can from scratch, but sometimes you've just got to give things a try. • A combination of fruit extracts, cocoa, water, rapeseed oil and natural chocolate flavour. Stir 3-4 tsp into 200ml of hot milk/milk alternative, or drizzle over fruit, porridge, pancakes, etc. • Makes a really great cup of hot chocolate. I don't like it so much in porridge though and I haven't tried it over fruit or anything yet. • An alternative to milk chocolate made using rice milk. 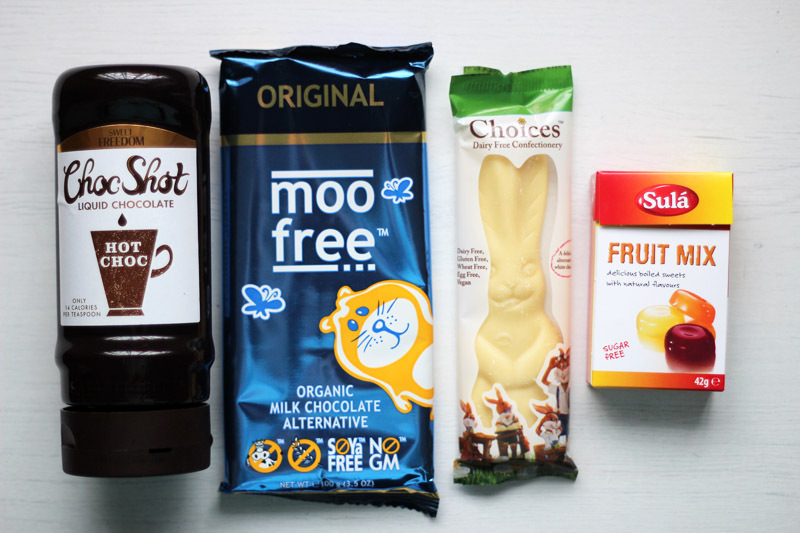 • It's a little on the pricey side and I'm not a big chocolate eater, but I'll always have a little stash of Moo Free on hand. • A cocoa based alternative to regular white chocolate. • Far from terrible and actually a little creamier than I expected, but I probably won't be rushing to buy any more. • Sula is the number one sugar-free sweet producer in Europe. Free from artificial flavours, colours and preservatives. • I like to have boiled sweets around to quickly tame any cravings. The orange ones are my favourite. 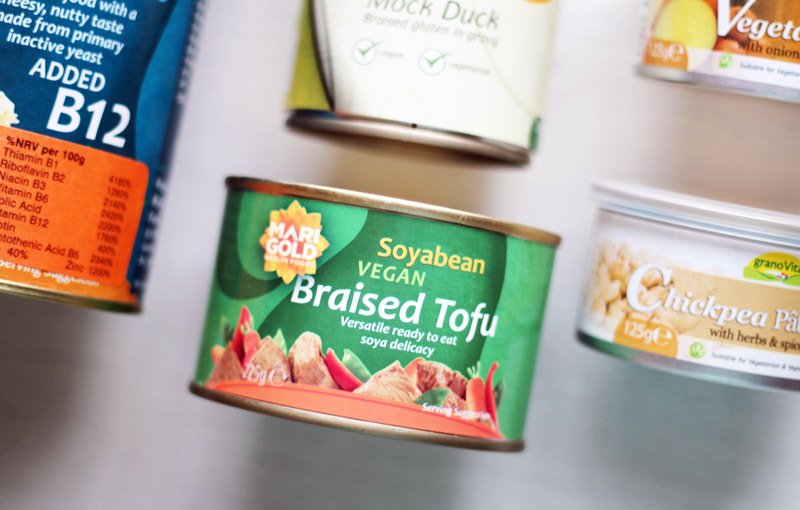 • After watching a few vegan food hauls I learnt that this is pretty much a must-have. Dried inactive yeast has a slightly cheesy taste, which sounds a little bit ick but is actually really nice. • I've been adding a sprinkling on to almost everything. Favourite so far is inside a baked potato with some spring onion. • A pate made with cashew nuts, soybeans and added spices. • Not a fan. Tastes very yeasty to me. • Similar to the above, but with mushrooms and in very messy packaging. • Slightly better, but not really a fan of this one either. • You know the drill now, similar to the above. • Not a fan at all. • Again, as above but with chickpeas. • I had hoped this one would be a little better. It wasn't. • Absolutely not. Nope. Never again. • Braised tofu, can be eaten hot or cold. • Trying this straight from the tin was an experience I don't ever want to repeat. It was marginally better in a stew, but it's not for me. 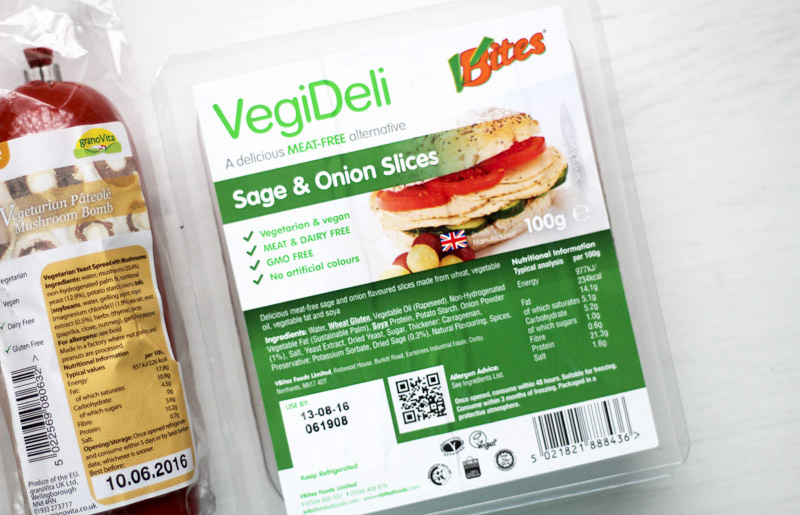 • A cheese alternative made with vegetable oils. 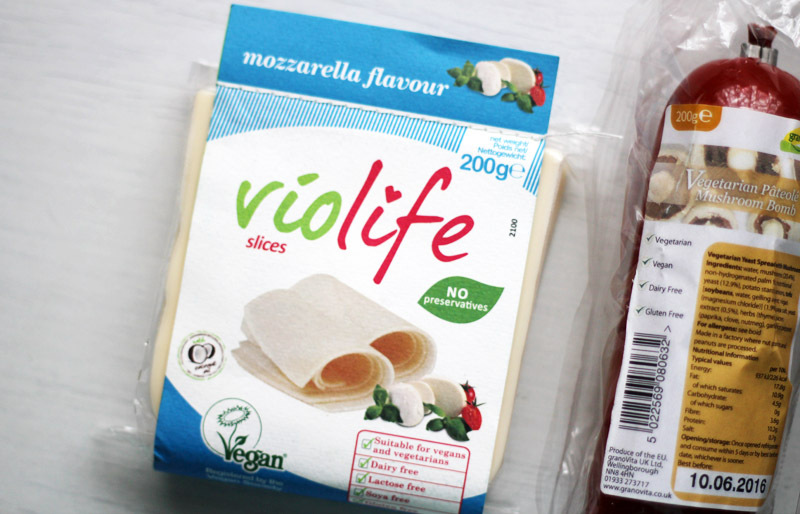 • I've tried the Violife cheese block before and thought it was okay but it had a bit of a strange aftertaste that was amplified when melted. I wasn't expecting much from these, but oh my goodness they are amazing. Would definitely buy again! • Perfect for sandwiches and salads. • I've bought these for years and love them. Will have to look into more of the VBites range. • Just add water, make into burgers and either fry or grill until golden brown. Comes with two sachets and makes 8 burgers in total. • Made these with my mum and it reminded her of what she used to eat when she first became a vegetarian back before meat alternatives were readily available. These tasted very similar to Linda McCartney burgers and they were fun and very quick to make. Next time I'm going to try adding a few extra ingredients and see how that goes. 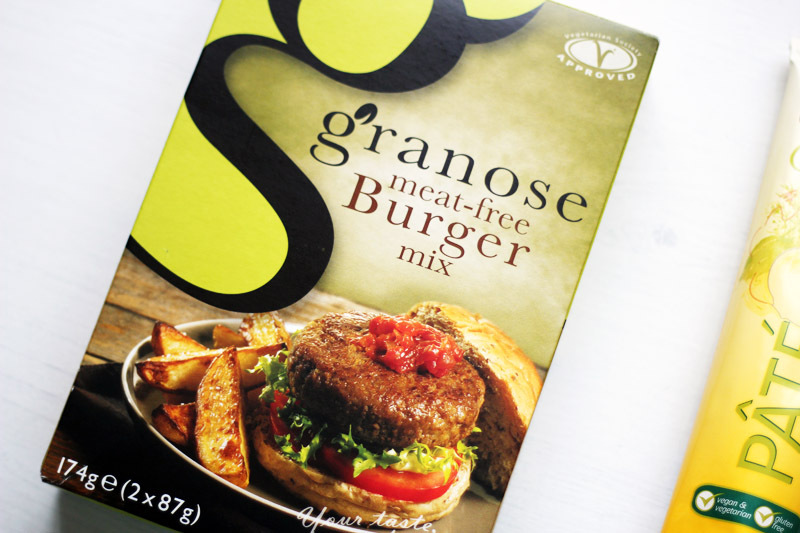 Best buys: Choc Shot hot chocolate, Moo Free chocolate, Nutritional Yeast, Violife Mozzarella, VBites slices + Granose burger mix. I'd love to know if you have any must-have vegan foods/snacks. Ah see now reading this makes me really, really want to try going vegetarian and then hopefully vegan. I've read a lot of posts that said the changes isn't as hard as people make out so I'm really intrigued to give it a go. My only huuuuuge issue is that I think my weekly food shop would triple in price if I went vegan! Have you found that at all? My colleague had one of those Moo chocolate bars last week and shared some with me...it was surprisingly good! I suppose it really depends what you buy and the things you like to eat. 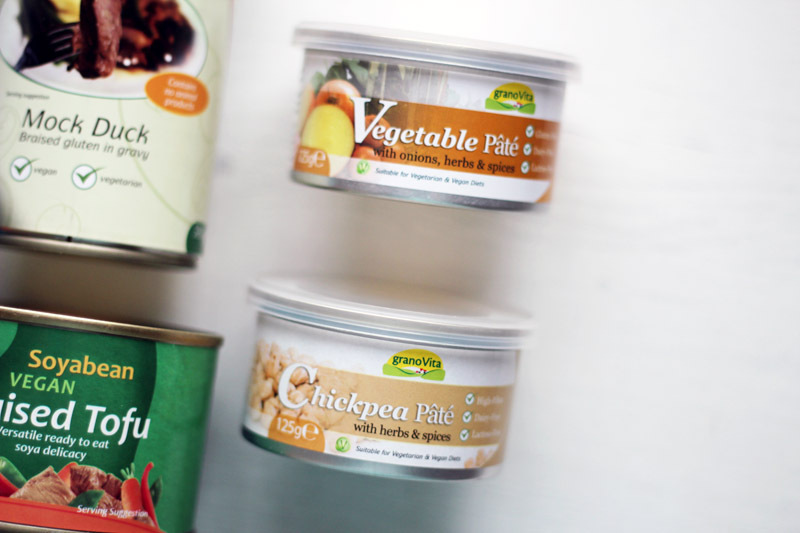 I don't really know anything about the price of meat and fish but while vegan alternatives can be a little expensive, the coconut milk I buy is slightly more than cows milk for example, my main staples are fruit, vegetables and things like butter beans and chickpeas which aren't too expensive. I used to eat a lot of cheese, which added a lot to my weekly food shop, so it seems to have balanced out. I think the key is meal planning and not buying too much processed vegan food. Oh interesting - I hadn't realised there was so much out there! My friend put nutritional yeast on popcorn once, it tasted really good actually. 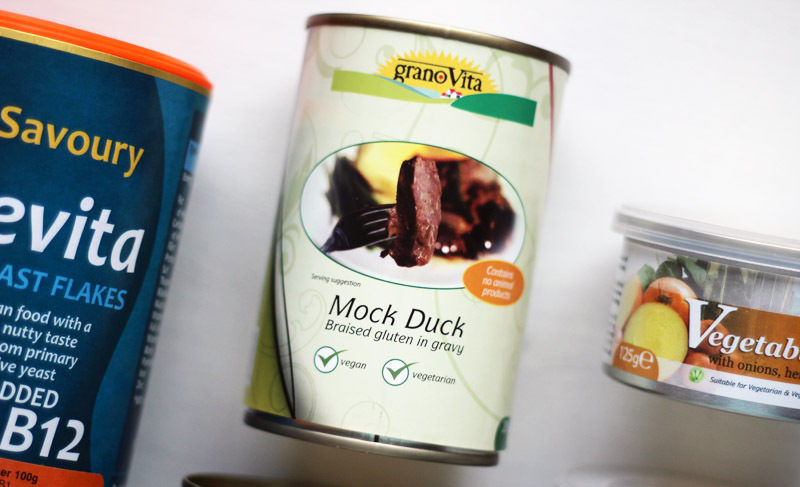 I've tried mock duck at a restaurant before and it wasn't bad! It had the texture of duck but the taste of tofu, haha. 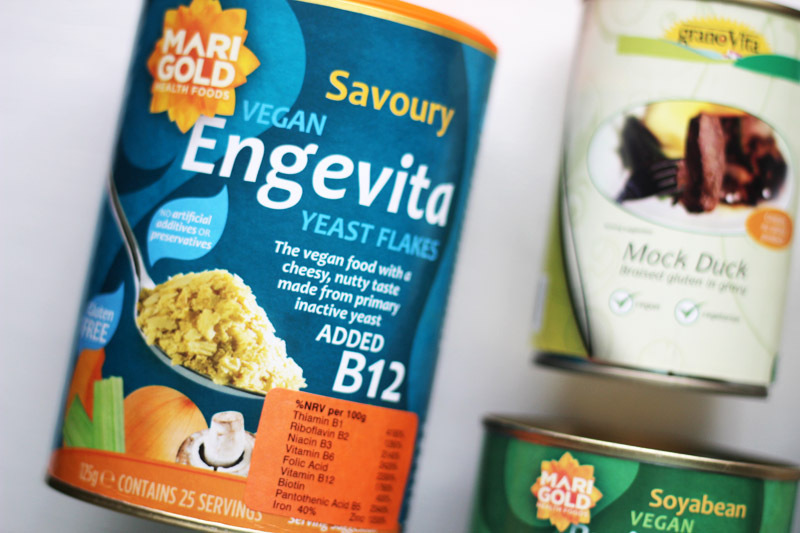 I've been leaning towards vegan food more and more recently and love nutritional yeast! I made a cream cheese with it (blended tofu and cashews with some garlic powder) and it's so so good! I mixed it with pasta for a creamy sauce. Fear not - bourbons are vegan! They are?! Oh my gosh I love it when things are unexpectedly vegan! I know - the excitement of being able to eat something ! I ate vegan pizza yesterday and was so ridiculously happy. This post is such a great idea, the only downside being we don't have many of the same products in Australia. I'm only vegetarian so I still eat eggs and things that contain dairy like desserts all the time, but for lunches and dinners I love a bit of mock meat. We have a high population of people from a whole range of Asian countries in Australia and I've found mock meats from a Chinese or Vietnamese supermarket to be some of the best around because they do things like mock fish and duck that I can't find in a normal supermarket. I also rely on Quorn pretty heavily as everything I've ever had from the brand has been great!